A dedicated long-time instructor who helped develop curriculum for a post secondary degree is the winner of the David Charles Abramson Memorial Flight Instructor Safety Award. Wayne Cave, works for the fixed wing division of Chinook Helicopters’ training facility in Abbotsford, B.C. 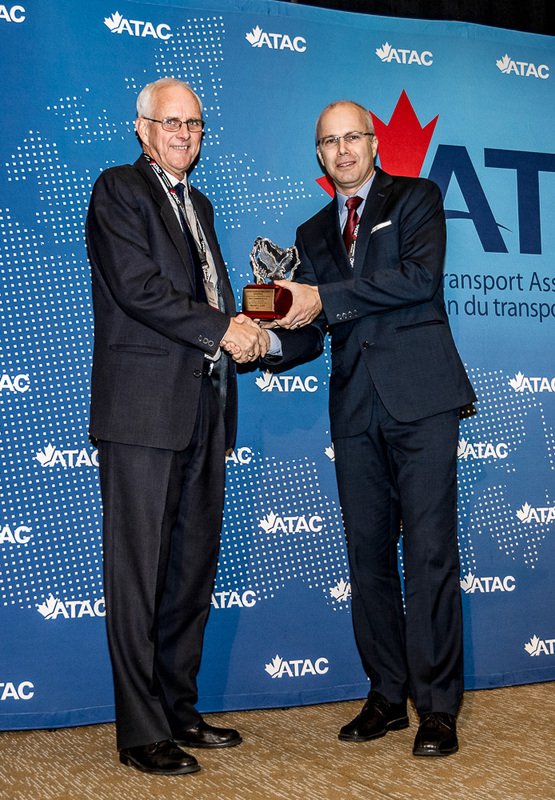 He received the award at the Air Transport Association of Canada meeting in Vancouver in November. Cave worked at Coastal Pacific for 14 years and while there developed and updated the curriculum for the Bachelor of Business Administration Aviation Degree Program. His commitment to safety has rubbed off on thousands of pilots who moved through training at Abbotsford over the years. “His work ethic and commitment to safety are second to none,” said the news release announcing the award. In his acceptance speech he touched on the instructor shortage plaguing Canadian flight schools. He said the time has come to find “novel solutions the ongoing shortage of experienced people to mentor and guide new instructors if we are to maintain our high Canadian standards of safety and training.